Apart from boxspring beds, almost all bed forms offer below a lot of space, which in most cases only serves to collect dust. That does not have to be. 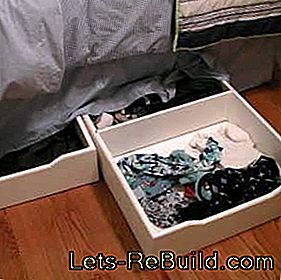 Even beds with a closed bed box offer the possibility to integrate a bed box. 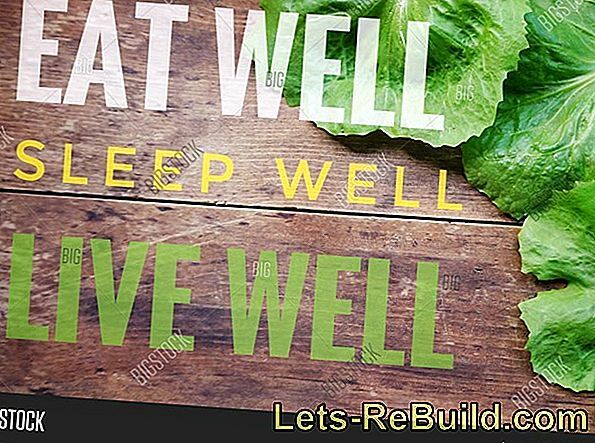 Our construction manual shows on the basis of a self-built cot how you can and should build a bed box yourself as a suggestion for their own implementation serve. A lot of craftsmanship is not necessary and special machines do not have to be present in the workshop. 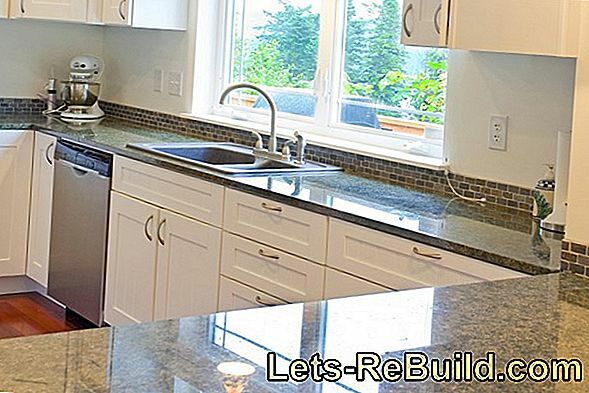 Who plans well before, can have all the required boards cut even in the hardware store (a free service in many hardware stores) and only needs a cordless screwdriver. 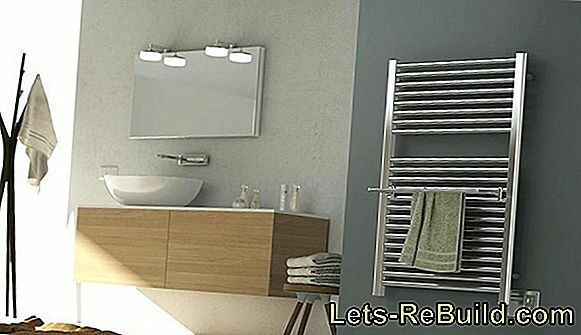 Special accessories are hardly needed and is available at any hardware store or online store. In our construction manual will the construction of a bed box for a self-built cot from spruce glued laminated timber. Therefore, the same glulam is used for the construction. 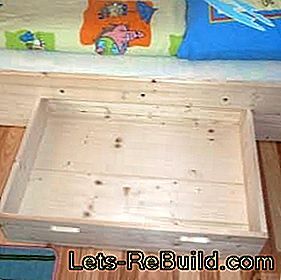 Of course, it is also possible to build the bed box from a different wood, such as multiplex, MDF or furniture boards. In the private sector, however, laminated wood is very easy to work with because it is soft and transitions can be sanded. 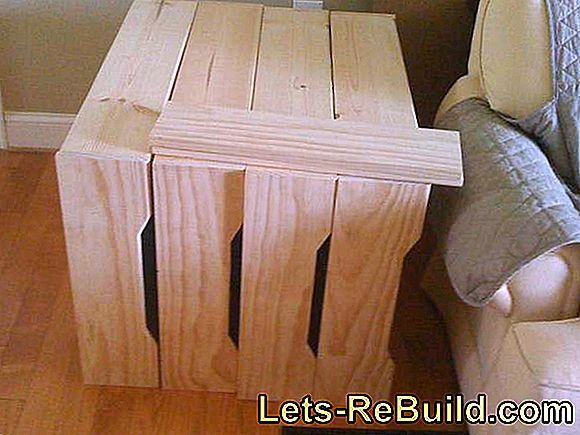 For furniture panels that is only partially possible. If the appearance of laminated wood does not match the existing bed, the front can be adapted to any appearance with the appropriate adhesive film. Our construction manual contains no dimensions and serves only as a suggestion because a self-made bed box needs to be adapted to your own bed. 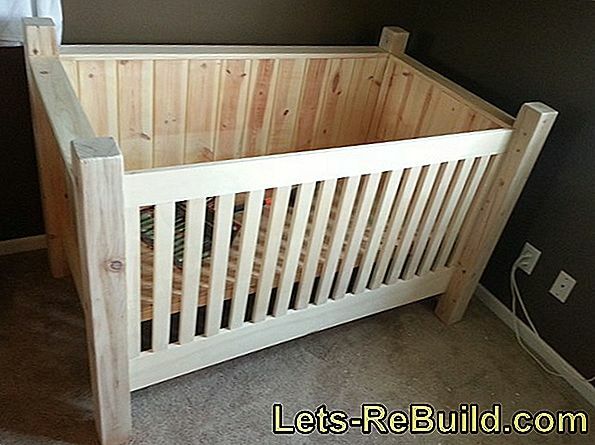 Remove the mattress and slatted frame and check the possibilities. 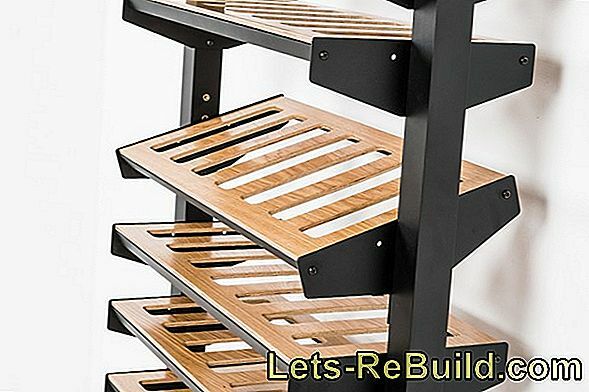 The height of the bed box should only be chosen so high that the support of the slatted frame (mostly glued and screwed hardwood bar) will not be damaged. 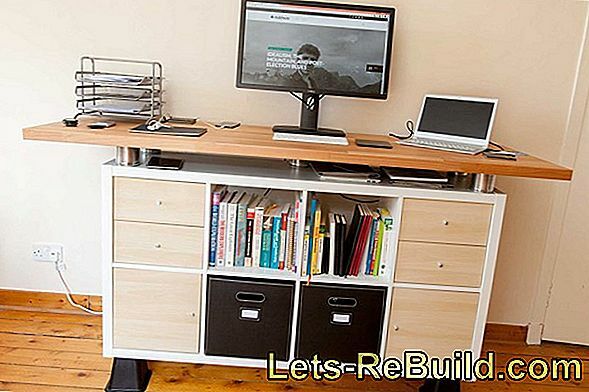 The width is flexible, should not be too large for a continuous sideboard, because the bed loses stability. 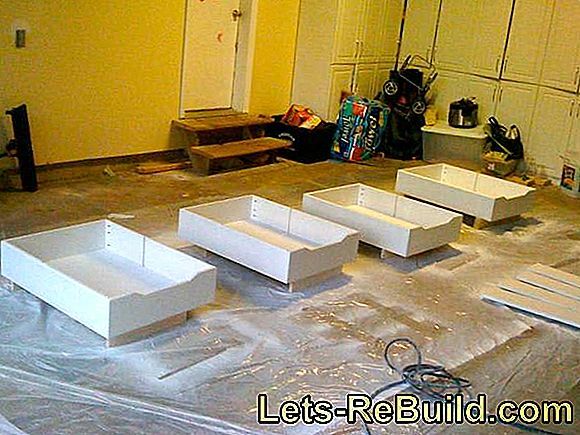 If you still want to use the entire length of the bed, divide the length into two sets of drawers and place a bridge on the side board in the center of the bed to support the bed. Is the bed on feet and is open, can the entire available space used become. The bed itself does not need to be edited for this. Glulam and other furniture woods are limited in their dimensions, so it is seldom possible to get a continuous floorboard for the bed box. For a larger area, however, it is important to make the ground massive. 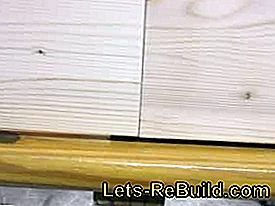 In this case it is possible to glue two boards sideways. 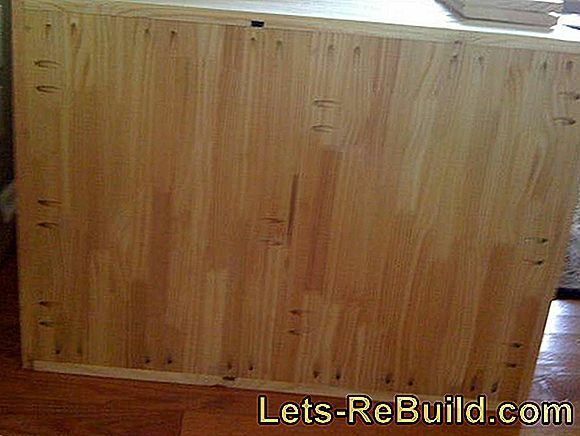 Mark yourself for this at least four dowel holes on the abutting surfaces of the two furniture boards and glue them together. When clamping, it is important to lay both boards on a flat surface and to additionally brace them. Helpful are laid up hardwood strips, squared timbers or similar stable aids. 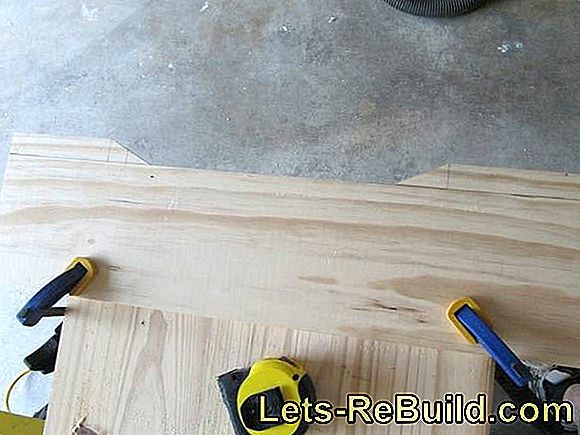 You avoid that the boards bend upwards during clamping and later do not form a straight surface. When choosing the footprint should be directed according to the standardized board dimensions become. These are available in different lengths and widths. For example, if two boards are glued to 120 x 40 cm, results in a bed box with a length of 120 cm and a depth of 80 cm. The same boards can be used without cutting in length equal as the front and rear panel. Of course, you can also adjust the dimensions yourself. It makes sense to note down the available dimensions of laminated wood boards in the hardware store including prices. 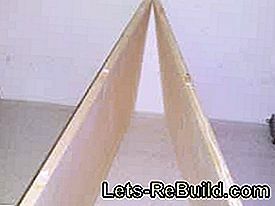 Sometimes two glued boards are 120 x 40 cm cheaper than a finished board to 120 x 80 cm. Compare and taste worthwhile. Another crucial factor is the availability and possibility of transporting large planks. Many hardware stores have an online store that checks availability and lists possible measures. If you plan well, you can save money and time here. If, as mentioned several times, worked with finished board dimensions, three side parts (left, right and rear) are cut quickly to the appropriate length. Note, that the edge boards enclose the floor and not be put on the ground. Because laminated wood available in many different widths is, a finished measure should be used. This saves on time, because the width does not have to be cut and also provides rounded edges, which also saves additional processing. 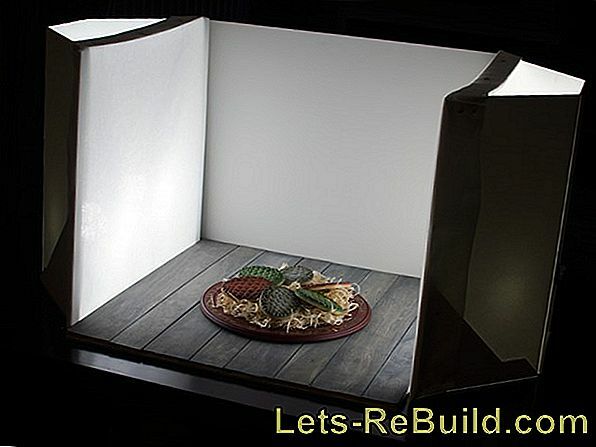 For an attractive look the cutting of the visible aperture is a bit more complicated, Finally, the roles used later should not be visible and form the front of the bed box with the bed a unit. 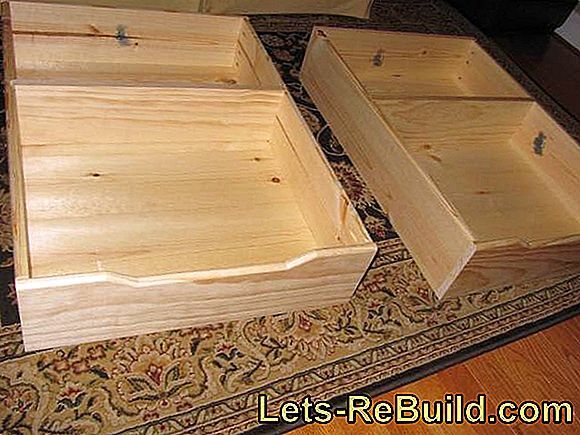 If the bed has a continuous board, the front of the bed box can be sawn out of it, which ensures an optimal picture. However, this variant requires a very careful sawing work. The saw blade width at the same time gives the required clearance to easily open and close the bed box. In addition, the mounting height of the front must be adapted to the bed box including the fixed castors. The front board must protrude downwards by the height of the roll and thus be higher than the side boards. This in turn has to be subtracted so that the front board does not drag on the ground. If the bed is on so-called furniture glides, which is always recommended for laminate or parquet floors, this distance can be used as a margin to the floor. The height of the front panel is calculated accordingly from the Height of bed box boards + roller height - height of the furniture glides, For the test, the height of the front board plus a glider (only hang up) can be compared with the height of the rest of the bed base including a fixed castor (see picture). To move the bed box comfortably, handles are necessary. However, ordinary furniture handles should not be used here so as not to get caught when leaving the bed. Often, bedding boxes are therefore cut out above something, so it can be grasped and the bed box pulled out. In the case of a cot, however, inadvertence can lead to injuries caused by bruising. Meaningful are therefore grip recesses, which are far away from the edge. Two recessed grips rule out that when closing a hand or finger between bed and bed box. The production of such recessed grips is quite simple. 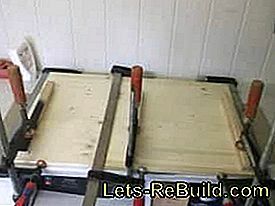 You need a big Forstner drill or a hole saw, a jigsaw and, if possible, a router or a milling table. Depending on your hand size two holes with a diameter of about 30 - 40 mm and drilled at a distance of about 60-80 mm. The drill diameter defines the later height of the recessed grip and the drilling distance + the diameter of the bore the grip width. The dimensions can easily be compared with your own hands. For drilling a table drill with stop very well, since all holes can be mounted with a uniform distance to the edge. When drilling, make sure that the hole saw does not drill completely through the wood. On the one hand, the drill table and the hole saw could be damaged, on the other hand, drilling on both sides prevents the board from popping out. The center drill of the hole saw allows exact turning of the hole saw when turning the board. 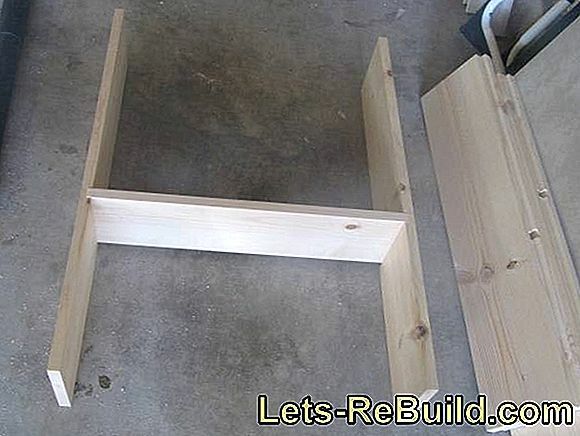 Are the holes drilled, be The upper and lower edges of the holes are connected by a dash and the space sawn out. With a little sanding work, the first recessed grip is already finished. However, the recessed handle becomes visually appealing and easier to grasp when the edges are rounded off with the router. The method also conceals small inaccuracies between the holes and the cutout with the jigsaw. If, as shown in the example, the side board of the bed is sawn out, straight laminated wood tends to deform. It therefore advisable to stiffen the edges. Can be used for this purpose a strip of hardwood or softwood, where the fiber direction is 90° twisted to the board. 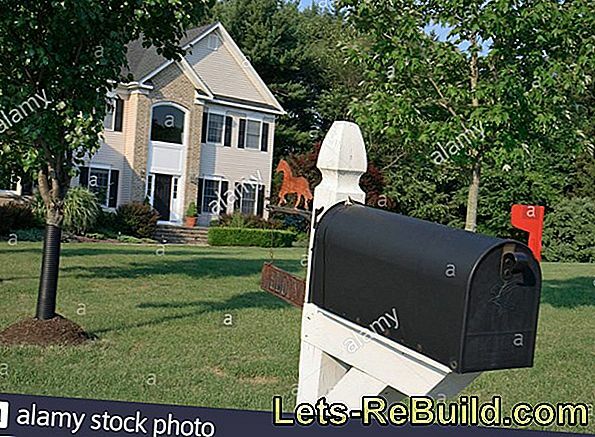 This can be seen very well in the picture. The fiber of the bar is vertical and the side board is transverse. The opposite fibers counteract warping. The size of the bar is limited only by the available space. The glued bar but brings another advantage. If it is glued flush with the edge, it also serves as a guide for the bed box, which does not tilt so easily. She may therefore like to turn out thicker and thus secures a straight slot. 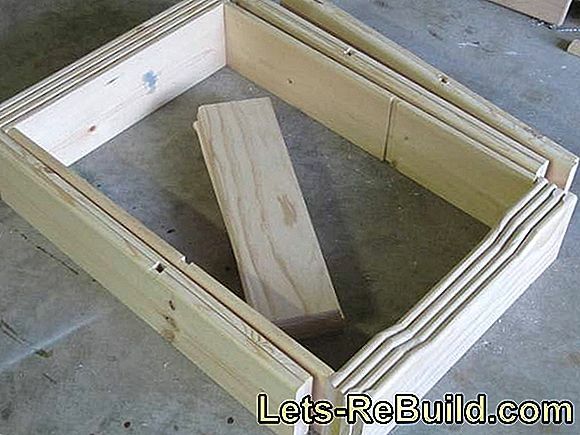 When all parts have been completed, the frame of the self-made bed box is bolted and glued. Dowels increase stability. Then the soil is used. It is important that he sits in the frame and is not put on from below. 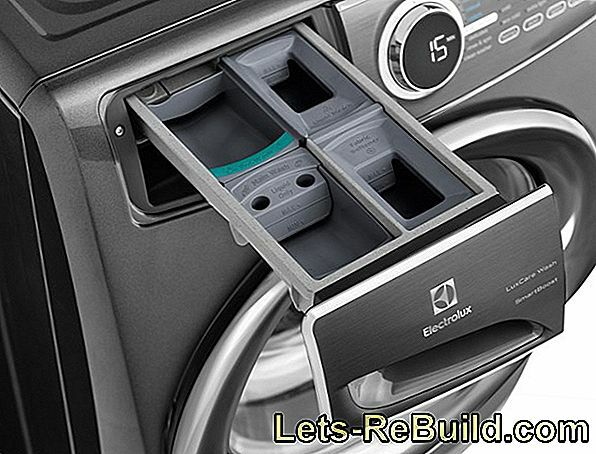 If the bottom is inside, the dowels and screws are inserted laterally, which can take up more ballast than screws in the screwing direction. 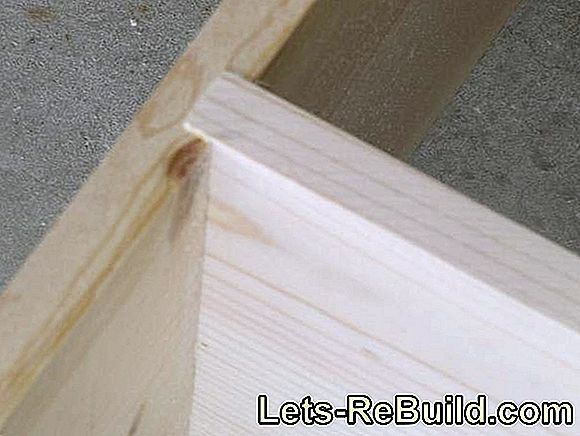 If the floor is connected to a side board and the rear board, it will second side board bolted or provided with dowel holes. All dowel holes can still be drilled and sanded from the outside. The conclusion forms the Blendbrett. 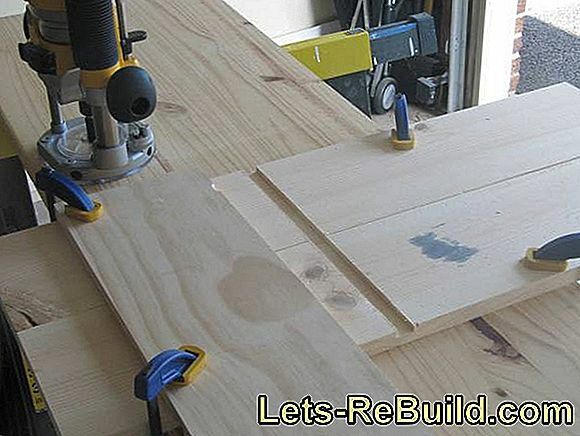 No dowels should be visible here, so that the dowel holes must first be drilled from the inside with a dowel aid. When connecting, put the bed box upside down so that later the upper edges of all boards are flush. At the bottom should be the previously calculated overhang of the trim board, which obscured the roles while not dragging on the ground. 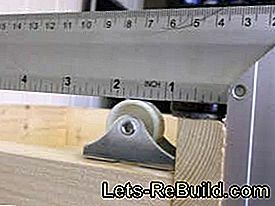 If the dowel does not lie, you can only use glue on this large contact surface or use additional angles on the inside. It is important to clamp all glue surfaces well until the glue dries. 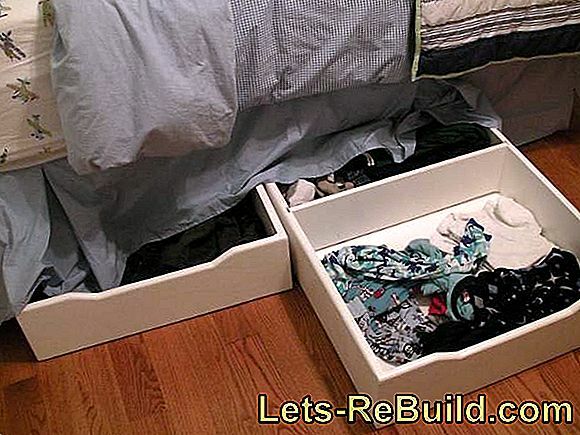 A bed box is the best option Useful storage space under the bed. It does not matter if clothes or everyday objects are housed there. Even in the nursery, a storage box can provide plenty of space on the shelf and on the desk. Because of the size of 60 x 80 x 18 cm there is enough space for toys. For the construction one can basically all types of wood use - even cheap MDF, OSB or Span plates are possible. 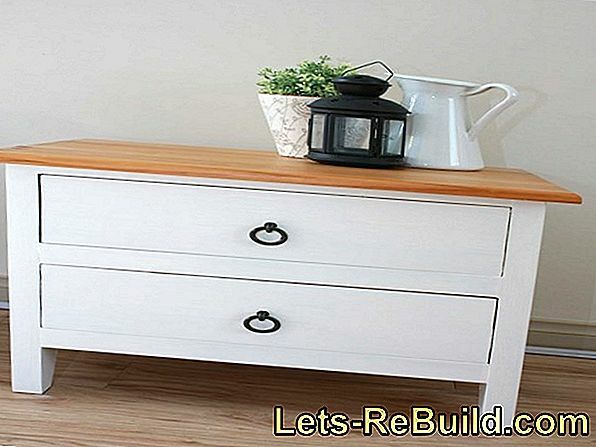 Due to the paint and the hidden position under the bed can be dispensed with expensive wood. The boards of the home-made bedstead get hold thanks to a good wood glue. On the drying times of the manufacturer is essential to pay attention. Alternatively, of course, the box can also be screwed: To connect two wooden parts with screws, you drill the part through which is first screwed, always 1 mm larger than the screw diameter. The part to be screwed into should be pre-drilled 1 mm smaller. So the thread can grip well. The measurements are of course variable and can be adapted to your own needs and the dimensions of the bed. 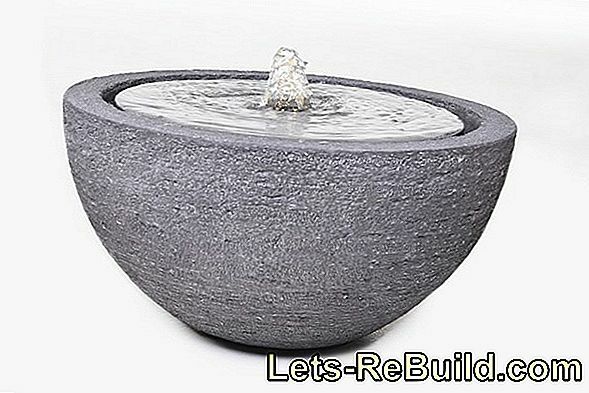 The material can be cut to the desired dimensions free of charge when you buy new in any major DIY store. The start is with the front. To be able to pull the bed box under the bed later, the board gets a recess with the following dimensions: 2.5 cm deep, sawn from both sides to each 13 cm, the angle is 25°. To round off the handle, the edges are worked with a wooden arrow. For the separation board, a slot is required in both sides. This is milled with a router in the dimensions 2.1 cm wide and 0.7 cm deep in the middle of the board. If the dividing board is to be put out and put back in at will, one needs 0.2 cm wide and 0.1 cm deep dimensions. It must be ensured that the boards are not milled continuously, but from both sides, so that the wood fibers do not break. A clamped board can serve as a guide rail. Then the divider board can be glued to both sides - if it is stuck in the wooden box. In our case, it will be mobile. The two side panels, the front and back can now be glued. During the dry season, care must be taken that sufficient pressure is applied to the splices. Finally, only the soil is missing; then the wooden box is ready. The board fits exactly in the frame and is also fixed with glue. 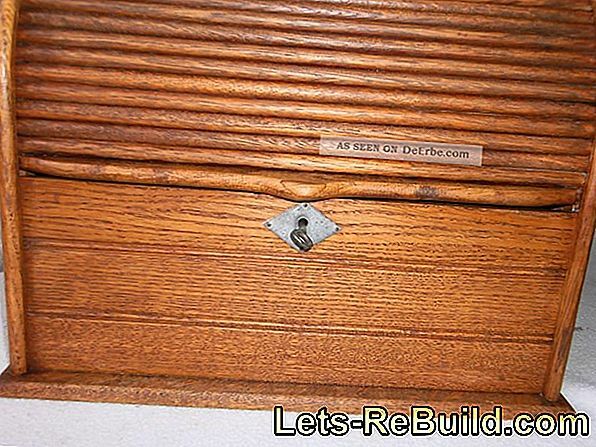 In addition, laterally and from below to the partition board installed screws hold. 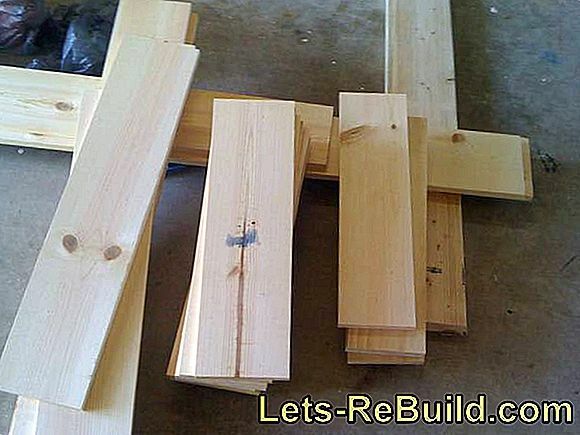 Be sure to pre-drill the wood parts. Overnight, all adhesive joints should be cured. The homemade bed box is ready. Only the painting is missing. 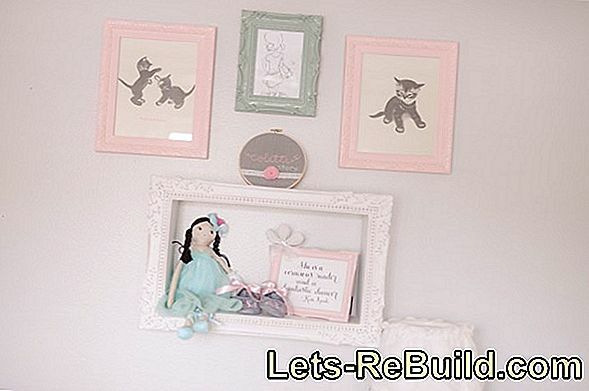 The color can be adapted to your own taste as well as the color scheme in the children's bedroom or bedroom. 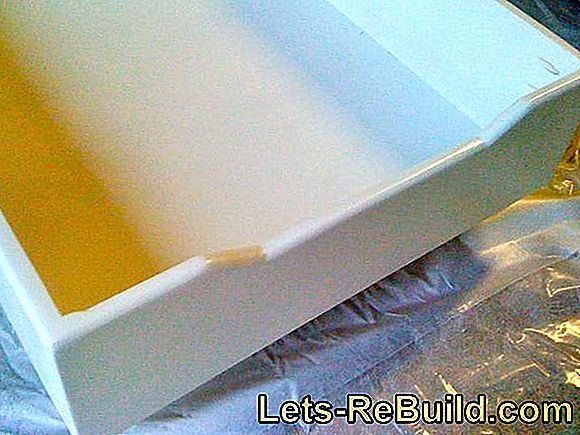 If you have a paint gun at hand, the work succeeds a little faster, especially with several bed boxes. The self-construction is allowed to dry overnight and possibly repaints places - should shimmer through the color of the wood. Then the box can be filled and pushed under the bed. Video Board: DIY Murphy Bed without expensive hardware! Women's urinals are so far not very common. The advantages of space savings, easier cleaning than a toilet and the better hygiene through body contact avoidance are also given in urinalbecken for women.